Keep in mind Bathroom remodel might require all or some of the trades listed below it is an always a good idea to work with one contractor that will save you time and money. Quick on-line estimate or make an appointment. Either way, is there a greater joy than starting your day, as well as winding it down, than in a beautiful bathroom? It may be a spot for momentary relaxation, a haven for peace and serenity or another opportunity for self-expression, the time spent in your bathroom is precious. Looking for something special for your quick morning showers, a nice long breather in a spacious Jacuzzi tub after a long day or an intricate bathroom lighting system to ensure you always look your best? No doubt, you crave the best bathroom experience possible. 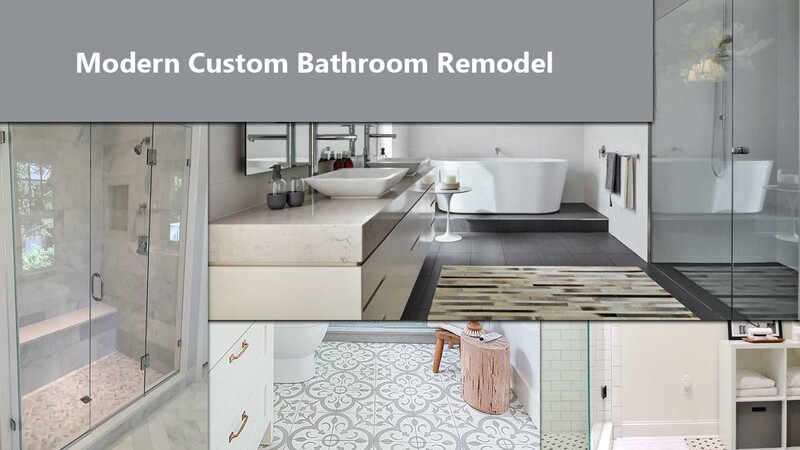 While bathroom improvements may initially sound expensive, remodeling provides excellent resale returns. Remodeling a bathroom is not only an investment in yourself, but it is also an investment in your future. Before redesigning any bathroom, we always ask as to where exactly you want to get from your bathroom. will arrange the bathroom that you think is perfect. We respect your personal style and will take into account the size of the environment, its conditions, the style of which you have furnished the rest of the house so as to ensure that your bathroom is in perfect harmony with the rest of your home. The bathroom may, in fact, be dedicated as a place of relaxation, a little escape from the routine where to take a break. It could be an oasis of serenity and peace, or perhaps a haven of self-expression where you give life to creativity. Nowadays the shower enclosures have replaced bathtubs. They take up less space and more practical, therefore less bulky and give a touch of elegance to the bathroom. Shower enclosures can be made of different materials and are available in various styles. Modern decors are mainly made of glass and steel. Shower wall coating An item that you need to pay attention and care is the selection of the new surface of shower walls. The most common options include the classic tiles in various shapes and colors, also quite economical and not difficult to clean. If you have a higher budget, you can think of marble or ceramic. The term complete bathroom is a rather subjective because each person has their idea of perfection and thus also about the perfection of their bathroom. We make cabinetry that will match the bathroom decor.